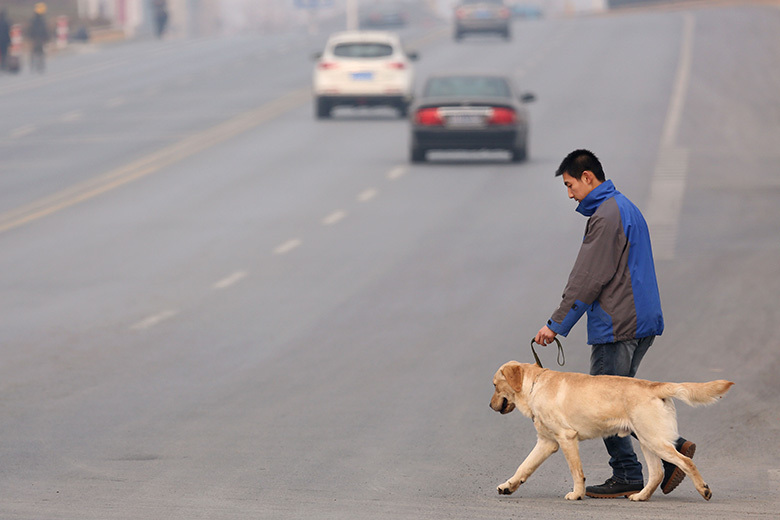 Ding Zhiqiang and his wife Ye Liqiong walk with their guide dog Zhuangzhuang in Changzhou City in east China's Jiangsu Province. 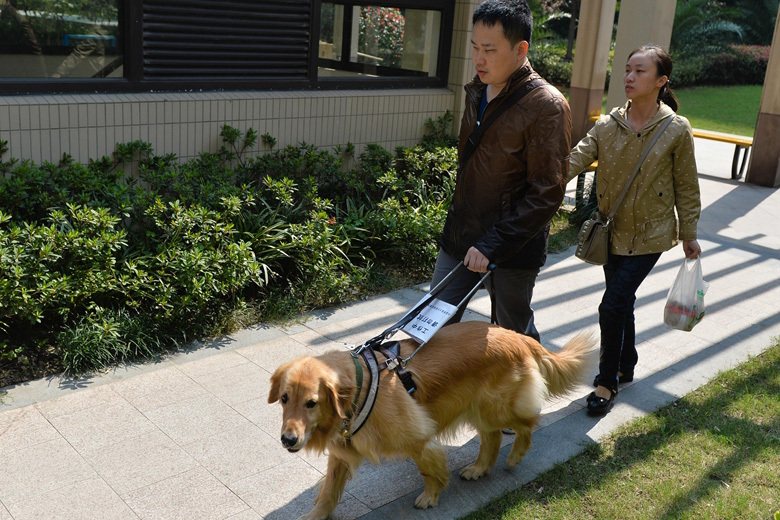 The couple applied to get Zhuangzhuang in 2013 from the China Guide Dog Training Center in Dalian at no cost. 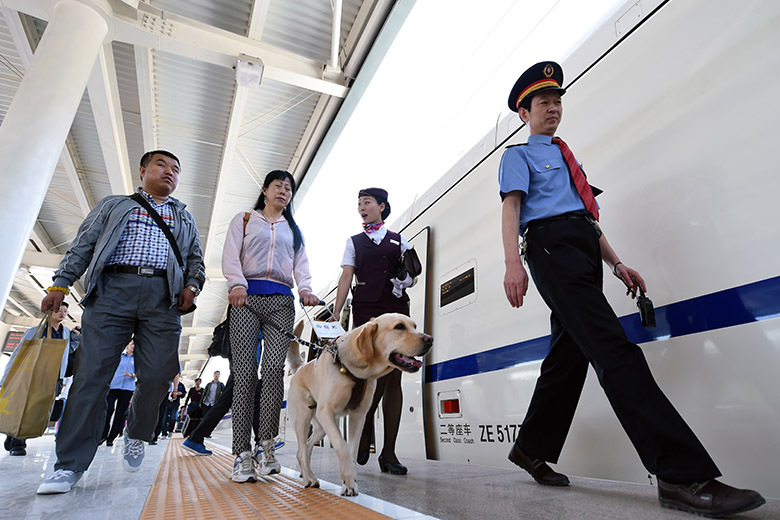 A couple with their guide dog ECO on the way to their train compartment with the help of a steward at Lanzhou Train Station. 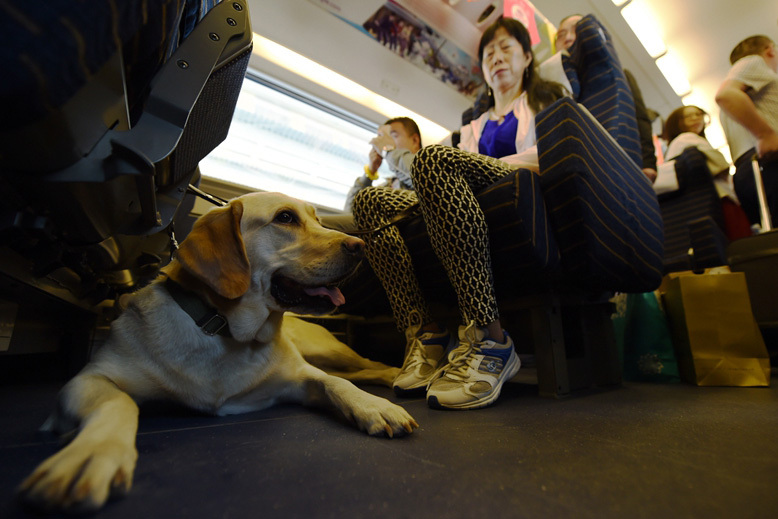 ECO is the first guide dog to take a high-speed train in China. All photos are courtesy of Xinhua News Agency. 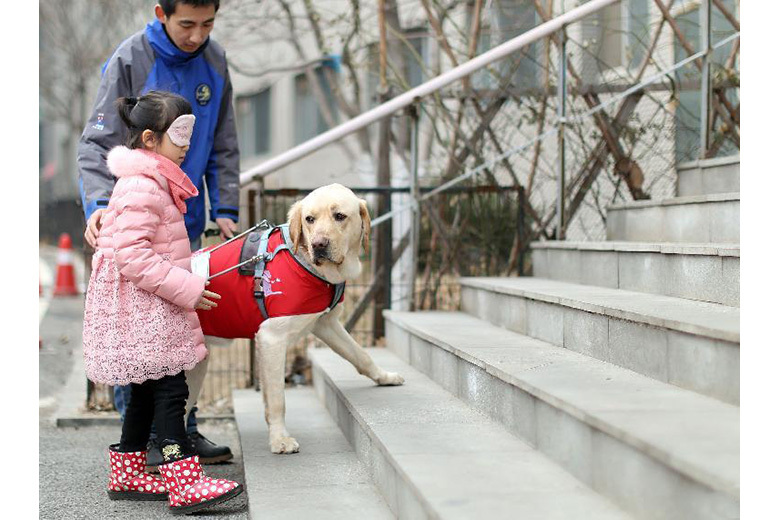 The China Guide Dog Training Center in Dalian is the first non-profit seeing-eye dog training institution of its kind. 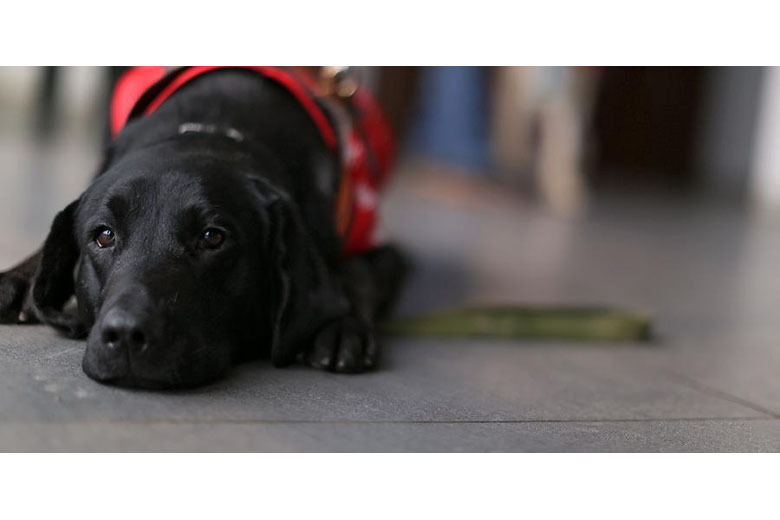 It is also the only organization in China which can provide comprehensive and professional services including breeding, training and appliances of guide dogs. The center, founded in May 2006, is located in Dalian Medical University in northeast China's Liaoning Province. Some 70 dogs have since graduated from the center and have worked for visually-impaired people in China at no cost. Fifty-four dogs are currently receiving training from 23 staff members, while 35 puppies are now being fostered here. But the number of seeing-eye dogs in the country is still not up to the International Guide Dog Federation's (IGDF) standards of "widespread use," which the organization defines as more than one percent of the visually-handicapped people in the country using seeing-eye dogs as guides. There are currently about 17 million visually-handicapped people in China, making up 18 percent of the world total, according to 2012 census data. 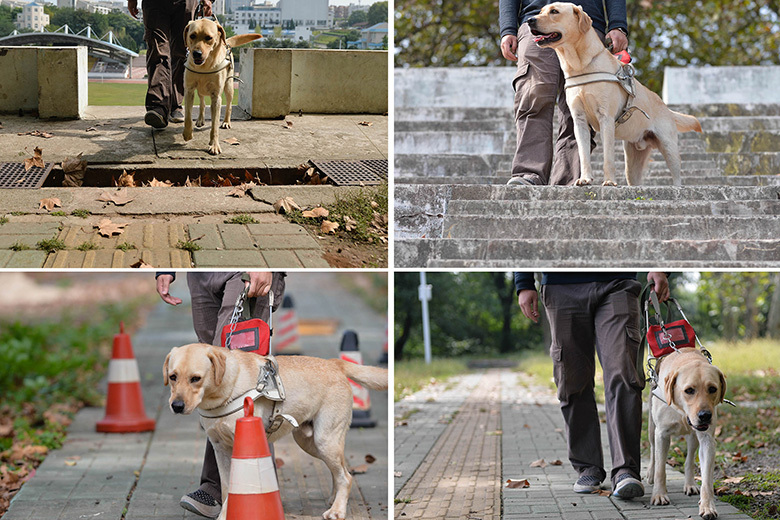 Therefore, more than 160,000 seeing-eye dogs are needed based on the IGDF's standard. Before graduating, a guide dog must pass training classes that include obeying commands, walking, on-the-spot walking and people matching. The one-year course costs more than 100,000 yuan ($15,670), only half of the dogs will pass all of the classes. In addition, the seeing-eye training is a time-consuming and costly system, so the non-profit organization is struggling. Many trainers have quit their jobs because of the hardship of taking care of the animals. "Only those who really love the job can make it," says Liang Jia, a worker of the center.